You say the word “oil” and it conjures different pictures in people’s minds. Some think of money, others of power. To us oil represents progress; pure fast-flowing energy that helps drive humans forward. It’s a business that we can’t help but want to be a part of. 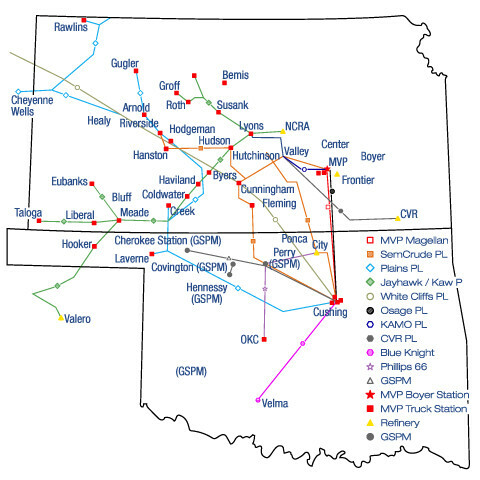 MV Purchasing, LLC (MVP) was formed to buy oil from producers in Kansas, Colorado, Nebraska, and the Oklahoma and Texas Panhandles. Today we do much more than that, and are well on our way to end-to-end marketing of petroleum products. To create superior value for our customers, owners, partners and employees through acquisitions, transportation, or exchange efficiencies. We’re in the middle of the prolific Mid-Continent region. Learn more about our partner businesses and how we can serve you.